CHARLESTON, W.Va.—Baptist Minister Archie Snedegar called Shen Yun Performing Arts the most incredible performance he has ever seen. He saw Shen Yun perform March 11 at the Clay Center for the Arts & Sciences of West Virginia. 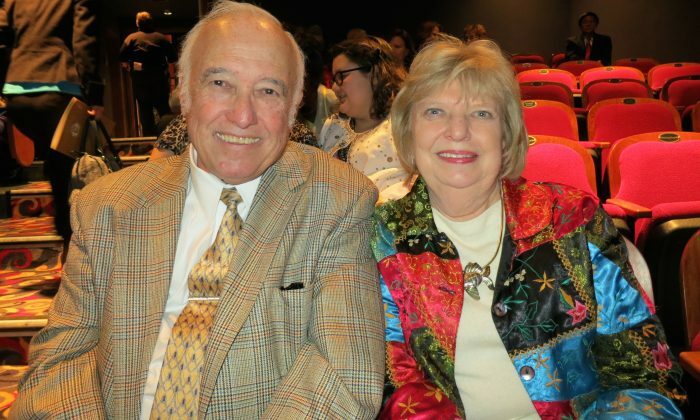 “New York City, Columbus, Indianapolis, it’s the best that we’ve ever seen,” said Mr. Snedegar of his experience watching Shen Yun Performing Arts. He said the energy of the performers and “just the sheer excitement and thrill of what’s taking place” were most impressive. He also said the colors and the coordination of the dancers’ movements were what stood out for him. A mainstay of Shen Yun performances are the large scale coordinated dancers that fill the stage. Shen Yun mainly features classical Chinese dance performances, complemented with ethnic dances performances from across China as well as solo vocal performances and an orchestra that combines traditional Western and Eastern instruments that plays original scores to accompany the dances. The New York-based company has taken it as its mission to revive China’s divinely-inspired culture. “Principles such as benevolence and justice, propriety and wisdom, respect for the heavens, and divine retribution, all come to life, washing over the audience,” explains the Shen Yun website. Mr. Snedegar said he found those themes highly relevant and applicable for everyone. The values presented through Shen Yun are “applicable to all of us across the world no matter what our faith, no matter what our belief; I think there’s a need all over the world for people to show greater love, to show greater respect, to show kindness, and I think [Shen Yun is] accentuating that with all that they do onstage,” Mr. Snedegar said. Mr. Snedegar said that not only did the show have a positive message to share, it did so with great feeling. For him, the whole performance was touching. “I couldn’t point to one particular thing. Everything is just beautiful and wonderful,” he said.